In 2017, the ABC exposed serious water theft, particularly in the northern part of the Murray Darling Basin. In response, the then Labor SA government established a Royal Commission to follow-up the allegations. The Commission’s terms of reference gave it the authority to investigate matters relating to environmental flows through the Murray Darling Basin and to the role within that of the Murray Darling Basin Authority (MDBA). The Commission’s 700-plus page report was made publicly available several days ago. If you want to see what a page with a bad case of the measles looks like, take a red highlighter pen to the Key Findings section (pages 52-70) and look for words like “unlawful”, “maladministration”, “indefensible”, “catastrophic”, “negligence”, “incomprehensible”, “nonsensical”, “secrecy” and “unacceptable”. In a nutshell, the Commission found that the MDBA had ignored the federal Waters Act requirement for a scientifically based determination of the quantity of water required to restore the environmental health of Australia’s major waterway. The MDBA unlawfully incorporated economic and social factors into its assessment, resulting in a water recovery figure of 2750 Gigalitres (GL) when it should have been within the range of 3980 GL to 6980 GL. The current parlous state of the Baarka (Darling) River with its lack of water flow and millions of dead and dying fish is a tragic confirmation of the MDBA’s refusal to base water recovery figures on environmental needs, as required by the Act. Unfortunately, the Commission, as thorough and focussed as it has been, did not have the power within its terms of reference to investigate Constitutional obstacles to the sustainable management of Australian waters, to analyse the effect of the transition of water from a “common good” to a tradeable commodity in a private water market, nor to include waters other than those of the MDBA in its purview. 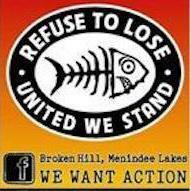 These are matters which those now advocating a federal Royal Commission into the Murray Darling Basin should demand. The SA Royal Commissioner did make passing reference to the Australian Constitution. He pointed out that the MBDA came into existence as a consequence of the federal Waters Act 2007. This was the first time that a national government, 106 years after Federation, had enacted legislation on the nation’s waters. From its very beginnings, the Australian Constitution, as a weak three-way compromise between the British, the colonial elites and the new central government, was unfit for purpose. The new Australian government had very little power other than defence and foreign policy (there is a list in Part 5 Sect 51), and those were largely determined by Britain until the ratification by the Australian Parliament of the British Statute of Westminster (1931) under conditions of war in 1942. The federal Water Act only exists because Australia’s international treaty obligations (eg the RAMSAR Convention on wetlands, the Biodiversity Convention, the East Asian-Australasian Flyway Partnership on migratory birds and the Climate Change Convention) enable the Australian government to have some say in how water is managed to achieve our external affairs requirements. Under Australia’s model of cooperative federalism, any national agreement between the Australian and state and territory governments requires the voluntary assent of each of the parties to the agreement. Hence the very real threats that can be made by state governments to pull out of the MDBA. An anti-imperialist Australia, having won real independence, would scrap the existing Constitution and write a new one giving the central government, led by the working class, exclusive authority over the many areas, including water and environmental management, that the current Australian government is excluded from or required to share, “cooperatively”, with the states. The end of the era in which water was regarded as a “common good” (1901-1980) is part of a global theft of public commons by giant multinational financial corporations which have forced their way into a deliberately constructed private water market that allows them to speculate with their surplus capital. The seizure of freshwater supplies contained in rivers and the Great Artesian Basin by finance capital investors, miners and gas extraction companies mirrors the wave of privatisations and corporatisations of city and state water utilities that occurred in the mid-1990s. The major beneficiaries of the latter included French companies Suez Lyonnaise des Eaux and Vivendi, Thames Water and Lend Lease. Water trading followed a June 1995 decision to establish the Murray-Darling Cap to put a limit on the amount of water that could be taken out of the Murray-Darling river catchments. Ostensibly a response to concerns about environmental flows, the Cap came with a new system that allowed irrigators to trade their entitlements to waters taken from the Murray-Darling, and also to trade annual allocations taken under those entitlements. Investment funds with active interests in water emerged after 2007, when investors no longer had to own land in the Murray Darling Basin to be eligible to buy and sell its water rights. Water was no longer a common good, that is, a resource deemed to be under the ownership of all Australian citizens and available for their use and enjoyment, but a private commodity, “blue gold” as it was quickly dubbed by corporate investors. Whilst making this fundamental change to ownership and control of freshwater supply, the federal government initially chose not to maintain any register of foreign capital purchasing Australian water rights. Very belatedly, foreign purchasers of Australian water rights had to register their purchases by November 2017; the data has not yet been released. Despite the lack of clarity around who owns our water, several major players have been identified. • More than $30 million worth of rights in western NSW held by Tandou which has substantial British and US ownership. It was estimated that by 2010, 8.1% of Australian freshwater was owned by foreign capital. By 2013, that figure had risen by 60% to 13.7%. No doubt the figure will be higher again when the registry data is eventually released. There are currently two investment funds serving to channel local and foreign capital into the water market. One is BlueSky Alternative Investments which incorporates private equity, hedge fund and venture capital divisions and whose major shareholders are JP Morgan Nominees Australia Ltd and HSBC Custody Nominees (Australia) Ltd. The other is a private fund, Kilter Investments. Financial analyst Alan Kohler reported how in 2015 he “spoke yesterday with Cullen Gunn who runs a wholesale water investment fund (for “sophisticated” high net worth investors and big super funds only) called Kilter. He says water is a "great asset class". "It’s like commercial property except there’s no problem with impairment or messy tenants. The yield is solid, about 5-8 per cent and if someone doesn’t pay you just take the asset back, instead of having to apply to have a tenant evicted." "Also, it’s clear to me that climate change means there is going to be less water in future, so the economic value of it will increase." It is imperative that any federal Royal Commission into Australian waters includes an assessment of the negative impacts on environmental water management of the commodification of water and its trade in the private water market. In any case, an independent Australia led by the working class will stop the commodification of water, close down the private water market and restore water’s status as a “common good”. All Australian waters are part of the nation’s ecology and required for the health of its biodiversity and environment. Whether it’s the Adelaide River in the NT or the River Torrens in Adelaide, they are all rivers of national significance and should be managed by a single national water authority embracing First Nations representation. The Great Artesian Basin (GAB) covers a larger area than the Murray Darling Basin, yet is often overlooked in discussions of water resources. Unlike the surface rivers, the GAB is a victim of “out of sight, out of mind”. What was once a large basin of ground water with bubbling mound springs supporting Aboriginal communities in South Australia has now been massively depleted. The mound springs have been stolen from Aboriginal peoples by being run dry through excess extraction of water, initially for pastoral properties and now for mining. BHP’s Olympic Dam mine at Roxby Downs in South Australia is permitted to extract up to 42 million litres of water daily from the Great Artesian Basin under the Roxby Downs (Indenture Ratification) Act 1982. The underground copper and uranium mine commenced operations in 1988 and is expected to continue operating until approximately 2060. Like the MDBA, there is a Great Artesian Basin Coordinating Committee. The former holds powers referred to it by State Ministers; the latter advises Ministers on behalf of various stakeholder groups. This is an unacceptable arrangement. There should be a single national authority with exclusive powers over both Basins. In the case of the Great Artesian Basin, there are divergent views on its sustainability. Some view it as a renewable supply, refreshed by rains falling in north-eastern Queensland. But another view sees it as a plutonic source of water derived from steam generated by vulcanism deep in the earth over millions of years and hence essentially not renewable. As per the Constitution, three separate states and the Northern Territory are in charge of their own Great Artesian Basin waters. SA, the victim in the Murray Darling Basin, allows Olympic Dam to extract up to 42 million litres per day. The Queensland government has given Adani open slather on Great Artesian Basin waters. It has no limit on what it can extract but merely needs to monitor and report the amount of water it extracts with a permit that runs until 2077. Gas producer Santos plans to drill 850 coal seam gas wells through the Great Artesian Basin. Capitalist governments have allowed climate change to reach a catastrophic point of “no return”. Global temperatures are rising, increasing rates of evaporation. What goes up must come down. It does. Torrentially and destructively. Bush fires increase in intensity and over a longer “bushfire season”. The Great Barrier Reef continues to die and species are threatened with extinction. We don’t even know the extent of our biodiversity, yet the federal government sacks its own biodiversity researchers. On the same day that the MDBA Royal Commissioner roasted the South Australian Environment Minister for selling out to eastern states governments, his head of department blithely announced that the SA Environment Department is henceforth to operate as an “economic development agency” with “less staff and smaller budgets…including potential reduction or ceasing of functions”. This all adds urgently to the need to seize the matchbox from the arsonists, to end the system that makes profit sacred, to place power in the hands of the people. The working class is no longer fighting just for its emancipation from an exploitative system. It is fighting for its survival and for a habitable planet.